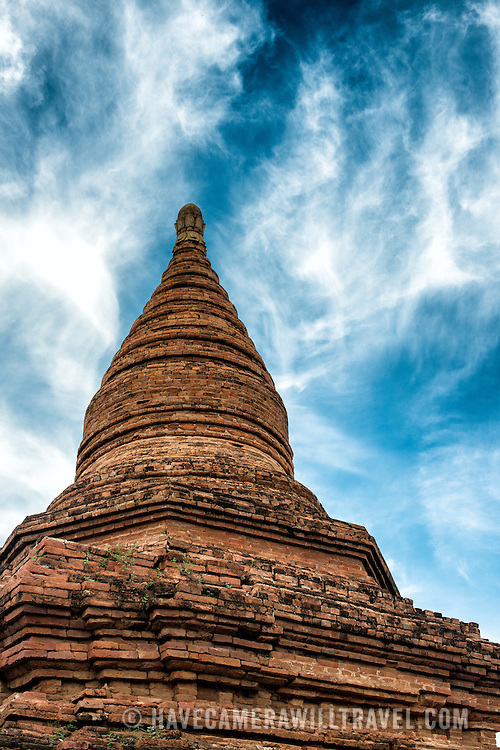 BAGAN, MYANMAR--Located just south of Myinkaba Village in the Bagan Archeological Zone, Apeyadana Temple is named after Apeyadana, an 11th century chief queen consort of King Kyansittha of the Pagan Dynasty of Burma (Myanmar) and maternal grandmother of King Sithu I of Pagan. As with most Burmese names, it is transliterated into English in various ways. Other variations include Ape-ya-da-na, Ape-Yadana-Phaya, and Abeyadana.